Violin students, like piano, need to have a good instrument for proper development. A great deal of variation in quality and size exists in stringed instruments. It is essential to communicate with the instructor about a proper size and quality before purchasing or renting a violin (or bow!). The students of the Chopin Academy of Music who take violin lessons also have the opportunity to perform with faculty and piano students in ensembles. Mr. Veselinovic, the violin instructor, is an internationally trained violinist with degrees from his native Serbia and the United States, as well as years of teaching and performing experience. Mr. Veselinovic takes a unique approach with each student with detailed attention to the proper hold of the instrument and the bow, watchful of the proper balance of looseness and dexterity, all while having fun. Beginning violin students learn popular traditional tunes from the first few lessons. Intermediate and advanced students learn not only the fundamentals but also refinement and virtuosity, and develop as artists through the mastery of interpretation. During recitals, violin students can rehearse and perform with piano faculty in works requiring piano accompaniment. 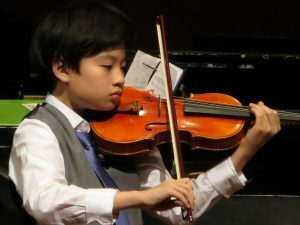 Like all students enrolled in private lessons, violin students of the Chopin Academy can enjoy frequent student recitals, usually monthly, and can freely attend all performance classes during which CAM teachers help guide performance etiquette, poise, and projection. 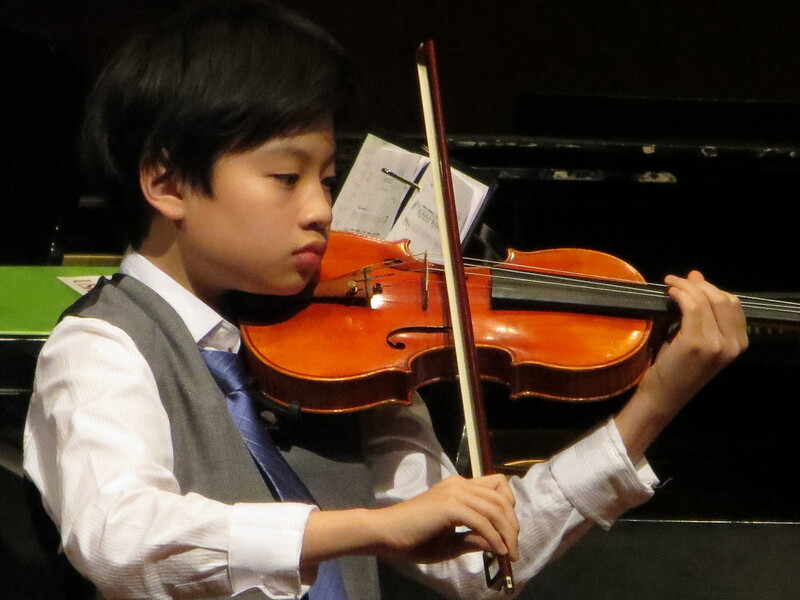 Violin students, if enrolled in either the exam track or competition preparation programs, may also perform at more prestigious centers at which Chopin Academy of Music students may enjoy once or twice per year, such as Benaroya Hall or the Meydenbauer Center, and now at Carnegie Hall in New York City.